Are you looking for ways to better connect with people online in need of your dental services? You may be considering Google AdWords. Either you’re looking at AdWords for the first time, or reevaluating it after an unsuccessful first or second try. Google AdWords is both extremely profitable, and tricky if you are a novice without a good road map. Download our free Dental Marketing Guide to learn how we use Google AdWords to get the very best results for our dentists. The benefit of paid online advertising (PPC) is that your dental practice is able to attract new patients quickly, and you can cover any geographic area you desire with ads, driving interested people directly to your website. 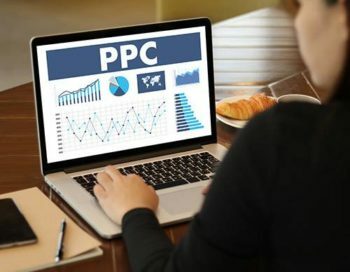 Over the years, we have learned the best ways to optimize dental practice PPC campaigns and our success is documented. We highly recommend driving targeted traffic directly to your best educational web content, which we help you create through our unique collaborative process. Allow us to show you how. Google Adwords for dentists is effective and affordable. Online Ads place your website in front of the right people and help you attract more new clients. Our Google AdWords Certified team delivers effective and affordable ad services that include the design, setup, maintenance and optimization of paid online advertising campaigns. Contact us if you have questions about Google AdWords for dentists. We want to make sure you have the information you need to make an informed decision. Why Use Google AdWords for Dentists? Your prospective new clients no longer go online; they live their lives there. Today, people are online constantly seeking information. According to Google, people are conducting over 100 billion Google searches each month. Each of these searches creates an opportunity to influence your target customers preferences and purchasing decisions. Being there when someone is looking for your products or services is what positions you to attract new patients. The businesses that effectively appeal to customers during the micro-moments are the businesses that succeed. Focus on creating an experience that is relevant and useful at each touch point, by focusing on your customer’s needs. 4 out of 5 consumers want online ads that are customized to where they are: their city, ZIP code, or immediate surroundings. 50% of smartphone users and 34% of computer users who conduct local searches make a decision within 24 hours. 59% of smartphone users say they find mobile ads useful, and 56% have done a mobile search after seeing an ad. In fact, 73% of mobile searches trigger additional actions, such as phone calls to a business. Search ads drive an average increase of 6.6% in top-of-mind awareness, or TOMA. When people were asked to recall up to five brands unaided, due to the effects of TOMA, brand awareness increased on average by 9.2%. If you can focus on what consumers want in their moment of need and ensure that you are there when someone searches for you, you will be on your way to having greater success with your online advertising.